If your pool deck is suffering from lack of imagination or ingenuity, there is hope. For years, redoing a backyard or pool deck was a laborious effort that required both a fat wallet and a massive amount of patience. Hiring expensive contractors with uncertain labor estimates was often the source of frustration for most any pool owner. Times have changed in recent years. Instead of doing a complete remodel of a backyard and ripping out concrete flooring, there are now newer options available at a fraction of the cost. There are several options for redoing your outdoor areas, but it can be difficult to decide which is the right one. How heat resistant the surface is? Is the surface susceptible to cracks and damage? There are several different methods of outdoor resurfacing that can make your pool deck look amazing. One such option that has garnered increased popularity is Spray-Deck. With its unique styling and reasonable costs, it may be just the option you have been searching for. Spray-Deck is a new way to resurface unsightly concrete at a fraction of the costs. Spray-Deck is a textured decorative cover-up that goes on top of the unsightly concrete to create a rich, textured, non-skid surface. Spray-Deck comes in a variety of colors and can transform surfaces in a simple and effective manner. Whether it is for commercial or residential purposes, there is no shortage of application options available. The best part about Spray Deck is that it’s twice as strong as traditional concrete and is easy to maintain. The non-skid surface prevents slipping from occurring while maintaining a look and style that transcends generations. No longer will you be stuck having an old, rundown concrete ground when Spray Deck is a viable and long-lasting alternative. If you are searching for the best brand of Spray Deck, then look no further than SGM. SGM provides cost-effective technology that is a fraction of the cost of traditional concrete resurfacing. With its durable technology, it can withstand tough weather conditions including rain, sleet, snow, and even abnormally hot temperatures. The comfortable outdoor coating also makes it easy to walk on top of without any blistering or cuts. 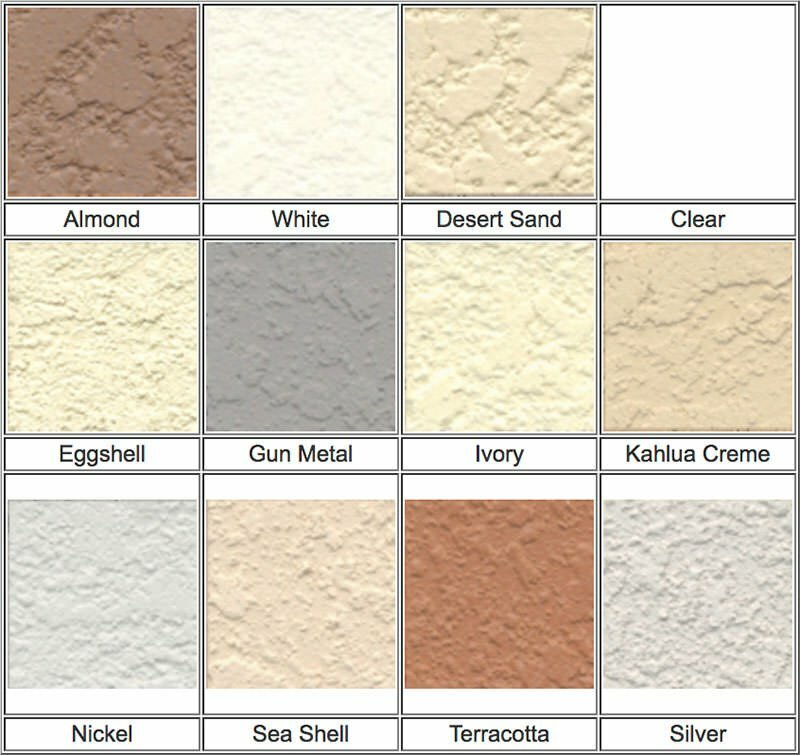 SGM comes in a variety of different colors and options meaning no matter what your individual style or taste preferences, there is sure to be an option for every backyard. Backed by a five-year limited warranty, the SGM Spray Deck System is installed by qualified contractors with the experience that will ensure backyard is looking brand new. SGM Spray Deck is an increasingly popular alternative that allows you to cover concrete in a manner that is both decorative and functional. Simple, dull concrete surfaces will be transformed into uniquely patterned designs in just a few short hours time. The uniquely patterned designs mean that each patio will have an authentic look and design different than the rest. The durable outdoor coating blends into the concrete seamlessly and will typically last the entire duration of the concrete’s life. The resistant surface can add years of life to the concrete as the resistance is slip-proof and easily walkable. Resurfacing your pool deck has never been an easier option and maintenance is simply a breeze. By using a simple garden hose and common household cleaners, your patio surface deck will look clean as new in no time. SGM Spray Deck can also be used indoors as well. SGM Spray Deck comes in a variety of different application options. There are both one-step and two-step application processes available. The single step mixing system only requires that you add water to the original mixture. This type of technology is a pre-blended decking system that uses dry resin technology and eliminates the need for additional liquid additives. All you have to do is add water and spray the mixture over the concrete surfaces. The one-step system comes in twelve different color choices and is both slip resistant and comfortable to walk on. This option works well with pool and spa decks, walkways, entrances, and driveways that have both residential and commercial applications. The Southcrete Spray Deck is a two-part system that is composed of liquid resin and powder. It is sprayed over existing concrete surfaces and is only available in white as an option. This variety is designed for use on commercial and residential walkways and driveways. It can also be installed on pool patios and similar decks to uplift concrete areas. Aside from its modern styling and diverse appearance, Kool Deck also has other positive attributes. Since its inception in 1962, it has been the premiere choice for reducing surface heat making it easier to walk on barefoot. The modern styling makes it an attractive option for the modern outdoor enthusiast. The durability of Kool Deck allows it to withstand blistering temperatures with a realistic appearance. Although Kool Deck can be a good option for some people, unfortunately, there are several negative aspects associated with it as well. Kool Deck is more difficult to install compared to other decking options meaning that there is a greater chance for error. Also, Kool Deck is more susceptible to sun damage meaning that it will fade much easier and it can be more difficult to match if repairs are needed. Kool Deck also must be applied to brand new fresh concrete. This can be a hassle if you do not want to resurface the entire outdoor area. When searching for the best way to redo your outdoor living area, it can be difficult to choose which option is best. Kool Deck may be cooler to walk on, but can also be much more susceptible to stains compared to Spray Deck. Spray Deck is a safer option to walk on as it is less slippery and also is less likely to get damaged or stained. Though both options provide valid methods options for deck resurfacing, the ultimate decision is up to you. No matter which method is chosen, choosing a contractor with the proper know-how for installation is key towards a successful outdoor makeover. Having the pool deck of your dreams does not have to come at a steep price. Instead of performing a complex remodeling of your property there are several alternatives that are available. Whether you are attempting to use Kool Deck or Spray Deck, find out which option is best for you. To adhere the Spray Deck to the concrete surfacing, a bonding agent is used to adhere to existing surfaces. This specific agent only binds to concrete surfacing. If your surface is made out of another material besides concrete, a different method can be used for the application. The pool deck will be pressure washed and prepped for installation prior to applying the bonding agent. If the concrete is in need of additional repairs, they must be made before installing the spray deck. By fixing all concrete surfacing, the material will be able to be bonded properly. Decking can play an important role in both the look and safety of your pool. Our team of experienced experts will provide quality, individualized service to give your pool the look you have always dreamed of. Spray Deck is best applied to fresh concrete surfaces, but can also be installed to pre-existing concrete surfaces, provided that there is no extensive cracking or damage. Our contractors have extensive experience in the installation process and provide meticulous detail that ensures your property is protecting using all precautionary measures. If your pool deck is in need of some assistance, we can offer pool deck repairs regardless of the surface. If the damage areas are small, we can apply a liquid coating that acts as a sealer over the original surface. These are caulking agents that can bind the cracks without having to perform a full-fledged installation. If there are too many cracks that are irreparable the most sensible option may be a full replacement. Performing a resurfacing with a new layer of Spray Deck might be the most reasonable option. Whether you want to completely resurface your pool deck or make minor repairs, it can often be a difficult and confusing process to perform on your own. In these circumstances, it can be helpful to receive assistance from licensed contractors with the proper know-how and expertise. We have the contractors that you need to perform any type of cool deck repair or replacement. Cool Deck is best installed with the help of expert contractors. We ensure that you, the customer, are the most important part of our business model. From start to finish, we will take care of every aspect of the installation process. We value your business and will provide quality enhancements that are both environmentally friendly as well as safe for the entire family. Our contractors are the best pool deck contractors and are trained and are able to go the extra mile to give your pool the respect it deserves. We provide top-notch quality customer service and the latest and most advanced product lines available on the market. Our services will provide the most advanced pool technology available and the best experience in the area. If you are looking to repair or need any help with your pool deck, contact Willsha Pools. Our team offers free estimates and can answer any questions you may have about your pool decking. Get the pool deck and outdoor living area you want today!